Applicants are invited to apply for a postdoc position in public health at University of Cambridge. Eligible candidates should submit the applications before December 07, 2018. The newly established The Healthcare Improvement Studies Institute (THIS Institute) seeks to appoint a Research Associate/Senior Research Associate*. At THIS Institute we aim to create a world-leading scientific asset for the NHS by strengthening the evidence-base for improving the quality and safety of healthcare. Co-created by two exceptional organisations – the University of Cambridge and the Health Foundation – THIS Institute is founded on the guiding principle that efforts to improve care should be based on the highest quality evidence. 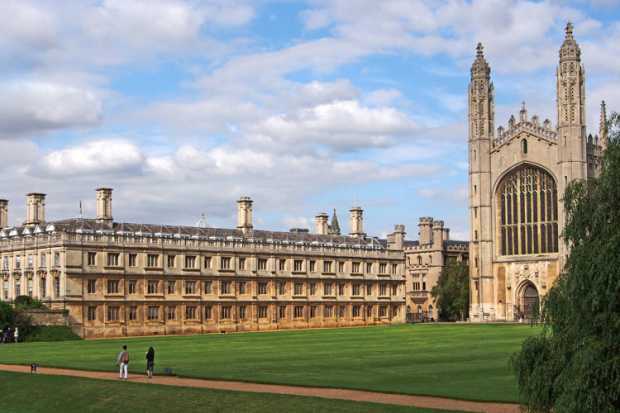 The institute hosts around 35 staff and has strong links across University of Cambridge departments and with RAND Europe, a not-for-profit Cambridge-based research organisation, and with Homerton College, Cambridge, as well as with multiple external partners. The post-holder will provide high level qualitative research and project management skills to THIS-funded research. The successful candidate will work to support a range of research projects concerning the promotion of quality and safety in health care, improving the uptake and spread of good practice, and sustaining improvements in the way that care is delivered as well as supporting the research infrastructure of THIS Institute. The post-holder will be educated to PhD level in health services research, medical sociology, public health or equivalent research degree or will have equivalent experience. They will be able to demonstrate experience of conducting qualitative research (in healthcare or other settings); have familiarity or ability to master quickly the literature on quality and safety in healthcare, diffusion of innovation, and implementation science; and the ability to read, critique and synthesise relevant literature, working at pace. They will have experience of conducting qualitative interviews, theoretically-informed qualitative data analysis, and preparing project reports and manuscripts for submission to peer reviewed journals. The funds for this post are available until 30 April 2022. The post holder will be based at the Clifford Allbutt Building, Cambridge Biomedical Campus, Cambridge CB2 0AH (approximately 2 miles south of city centre). Informal discussions about the post are strongly encouraged. Please contact the Director of Research of THIS Institute, Professor Graham Martin, by e-mail (graham.martin@thisinstitute.cam.ac.uk). Please ensure that you outline how you match the criteria for the post and why you are applying for this role on the online application form.